Product prices and availability are accurate as of 2019-04-25 22:42:31 EDT and are subject to change. Any price and availability information displayed on http://www.amazon.com/ at the time of purchase will apply to the purchase of this product. Amazon is an authorized retailer of La Roche-Posay products. 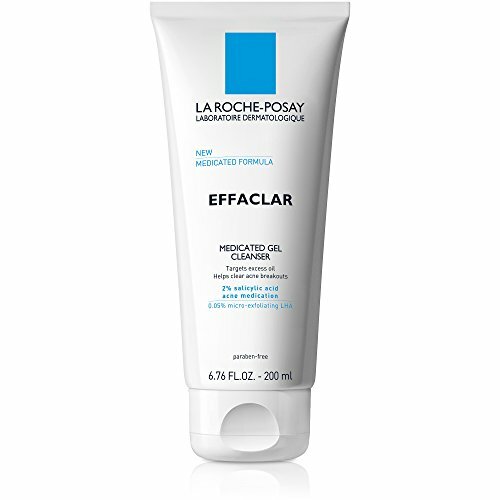 La Roche-Posay Effaclar Medicated acne wash has been developed with dermatologists. 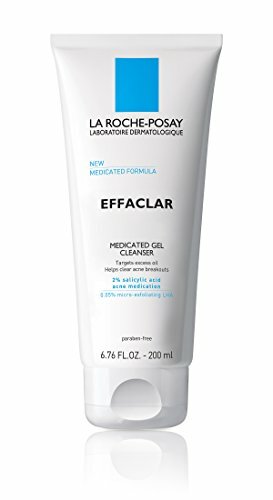 Face wash with [2.0%] Salicylic Acid Acne Medication, helps targets excess oil, pimples, blackheads and whiteheads for clear skin. Clinically tested to reduce excess surface oil by up to 47%, leaving skin less oily throughout the day. Salicylic Acid Acne Medication fights acne breakouts. 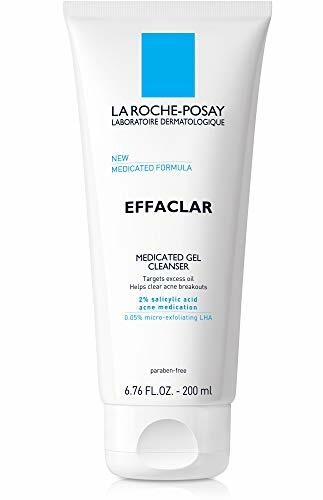 Exclusive micro-exfoliating Lipo Hydroxy Acid helps target oily areas on the skin surface to provide precise cell-by-cell removal of debris and dirt. Use as a daily acne wash to fight excess oil and acne. Cleanse 2x daily, morning and evening. Wet face, apply quarter size amount onto fingers, and only using fingertips, apply gently on face in a rotating circular motion. Avoid getting into eyes. Rinse thoroughly. Gently pat dry using a soft towel. Active Ingredient: 2% Salicylic Acid. Inactive Ingredients: Water, sodium laureth sulfate, decyl glucoside, glycerin, sodium chloride, coco-betaine, PEG-150 pentaerythrityl tetrastearate, hexylene glycol, sodium hydroxide, PEG-6 caprylic/capric glycerides, zinc gluconate, tetrasodium EDTA, polyquaternium-47, menthol, capryloyl salicylic acid, citric acid. Methanol is an ingredient that is used in this product for its cooling effect on the skin.